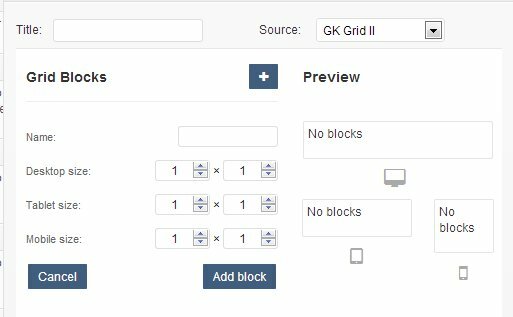 New GK Grid for WordPress is composed of a set of widgets and their spatial relationship with each other. 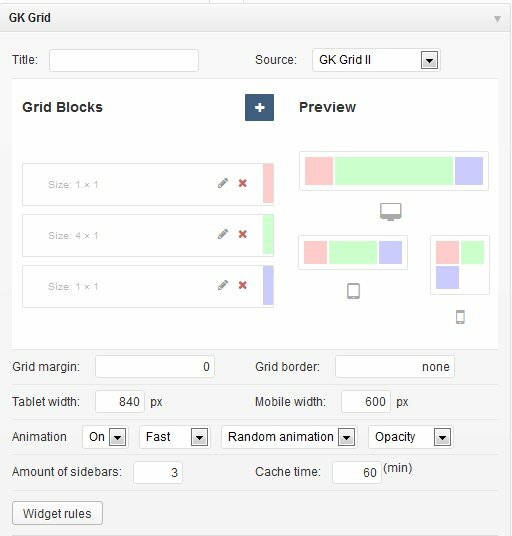 With the GK Grid widget, you can implement space-saving grid-based layout on websites and incorporate a variety of content types via different widgets. It works by placing elements in optimal position based on your settings, sort of like a mason fitting stones in a wall. 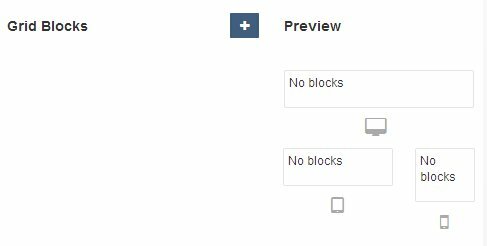 If one day you will see this message “You didn’t selected any blocks source :(” – it means that you probably made a small mistake. 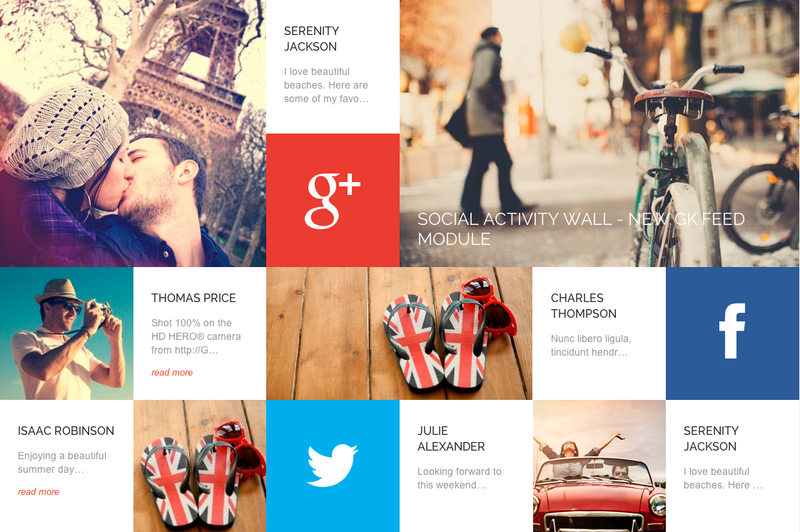 For example you forgot to assign widget to the same widget position as The Grid.